Many of us have this tiny little shop where you have bought some of the most amazing and flavorful foods ever! You know that place you only know about because you stumbled across it one day and decided to try them out! Well there was a tiny seafood shop in Langley Park Maryland that sold buckets of butter and garlic crabs. They would steam the crabs, cut them in half and then drench them in this butter and garlic sauce WOW! My mother and I used to get these almost every weekend! There was always left over butter and garlic sauce at the bottom of the bucket, for which we shamelessly swooped up with our fingers and licked our fingers until all the sauce was gone, WHEW, it was so good! Since then the little seafood shop has closed down but I wasn’t ready to give up that euphoric experience! So I did what I do best, I started thinking of how I could replicate and improve the recipe. I decided to use crab legs because my husband and I love them. I started day dreaming about the flavors from the little seafood shop and began to write down the ingredients I thought was in the butter and garlic sauce. After three tries let me just say BAM, POW KABOOM! I did it again baby! 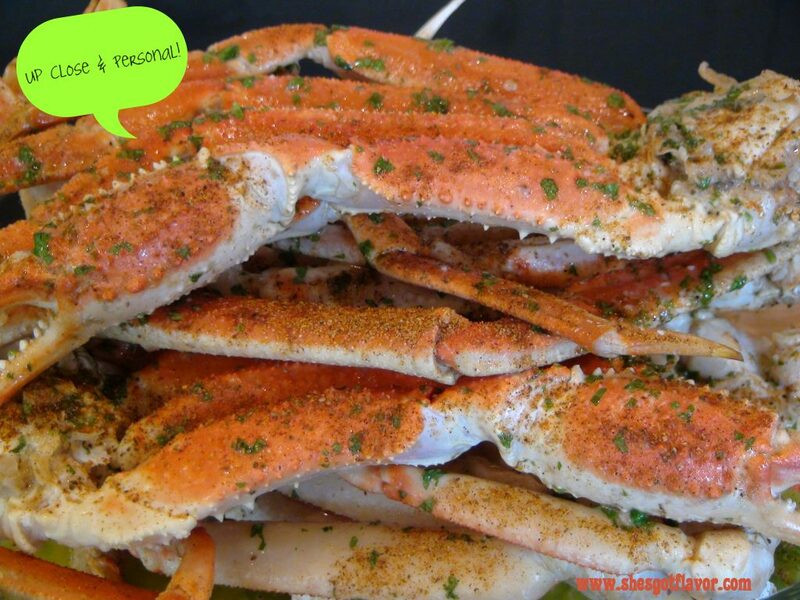 If you love crab, be them whole or the legs, try this recipe you will absolutely love love love it!!!!!! Hope you enjoy these crab legs as much as my husband and I have. 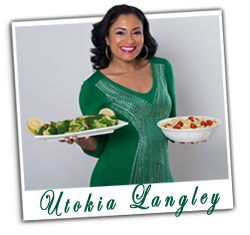 Please do not forget to LIKE my FB FAN (click here) page on my HOME PAGE (click here) and SUBSCRIBE (click here) to my blog to receive these fantastic recipes via email. AND let us not forget about TWITTER (click here)! NOW LET’S MAKE THE GARLIC BUTTER SAUCE! LET’S FINISH THE CRAB LEGS! Season the crab legs with Old Bay and serve HOT! For dipping the crab meat, you can use garlic butter sauce at bottom of dish or heat some more butter in microwavable bowl and add some apple cider vinegar, stir and dip baby dip! I made these delicious crab legs last friday for my family and a few guest. OMG they were awesome! We all were ready to fight for the last couple of legs in the pan LOL. This was really easy to prepare and very tasty. You will enjoy them as much as we did. Thanks Utokia has Got Flavor for real!!! Those pictures are off the hook LOL. I had Garlic crabs for the first time when we first moved to Georgia and loved them. Looking forward to trying out your recipe with the crab legs. The pictures make your mouth water! Looks delicious. 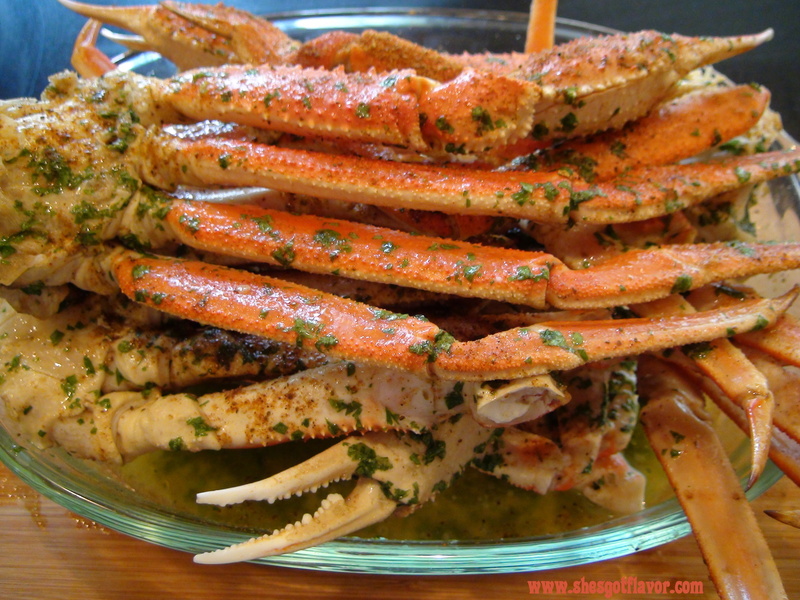 I will be making these crab legs TONIGHT!! Thanks so much for this recipe! It was easy to follow and tasted delish!! Thanks for giving us a little creation in the kitchen. Amazing recipes! This is probably the most appropriately named blog post ever! For the Super Bowl we made this. Actually, my (12-year old) daughter pretty much prepped and cooked it. OMG!!! I really cannot even say how much finger licking was goin on (we should be ashamed! )…fi-ya is all I can say! Thx for posting this recipe Utokia!! Oh my, these are beyond delicious! Im on my third time making them and I cant even put into words how amazing they were!!! Couldnt eat them fast enough! Hello Kim, I am so happy you love them!! Thank you for visiting come back often!! Thank you for sharing your recipe byt, how much oldbay do you recommend using? Any water with the beer or just the beer?? Geneva OMG you have no idea, I named this dish Lick Your Fingers for a reason … it is soooo good! Thank you for visiting and trying my recipes, come back often! Awesome Abby, glad you loved them! It is a staple in my house! Can I add potatoes, corn, eggs, and sausage to beer boil? If so, when would I add them? Thank you! I am making them as I type will be trying this on crawfish as well . Thanks for the recipe. Thanks for sharing this, I’m in plans to making this in the next couple of days. Question is ….do you suggest to slit the legs length-wise before cooking? Again thank you for the recipe and shown pics makes it irresistible not to try them. All i can say is wow…i live in florida where there are crab shacks all over…i did this recepie with blue crabs and its a hit! I’ve never had any with the butter that taste like this..this is an real authentic garlic crab recepie. ..Thanks soo much..
you are soo welcome Amarie, I am so happy you liked it, I hope you come back and visit for more delish recipes! These look amazing. I would love to add potatoes, corn, and sausage to the pot. Can I just add to beer or should I add water? I wanted to make this Mother’s Day special for my wife and the recipe made it that and more. Thank You. Thank You. Thank You!!!! Hi Utokia! I will be trying those snow crabs out with my husband this weekend. Did you do a video? 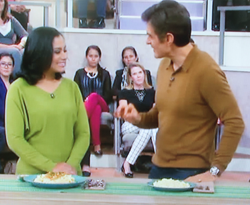 I love to see you cook and taste…. You have me LMBO! LoL! I can just imagine how you snapped on the snow crabs. I love me some snow crab legs. Everytime we go out to eat that is what I order.. MM mm mmm! I can’t wait to try this recipe. OMG. Just tried these and they were AMAZING. I didn’t change a thing! So full of flavor and taste much better than the restaurant. Cilantro with the butter…genius! THANKS SO MUCH!!!! Very pleased. OMG! Made this tonight and it was uh-mazing! I have always steamed crab with beer but have never tried it with the butter garlic yumminess. Thank you so much for sharing! AWESOME Erika, I am so happy you loved it, please visit us often! All I can say is OMG. I am so glad I found this recipe and your blog. I am a lover of crab but have never used beer or cilantro. It was amazing and oh so tasty. I cannot wait to make this again. 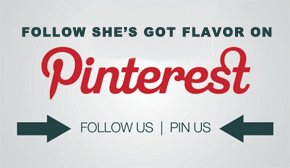 The title She’s Got Flavor is so appropriate for you. Thank you for bringing flavor back. You mention that these are steamed. Maybe I missed something but I don’t see where you discuss using a steaming basket or covering the pot for steaming them. They look delicious and want mine to turn out as good as yours look! If you could clarify I would certainly appreciate it. How awesome Maya, these are my husband favorite also, we tear them up! Oh and way to make a perfect match with the red wine! I am a seafoodaholic and have some friends coming into town so I am definitely going to try this recipe, however, I need to know if you can taste the beer when you’re enjoying the deliciousness b/c I don’t like beer? I am going to try these tonight I’ll let you know how it turns out! First the clusters and then the jumbo white shrimp after removing the clusters. Thank you for the recipe. Just in case you are wondering, the side dish is North Atlantic Sea Scallops wrapped in bacon. The pie is mango/key lime. Wow Utokia! 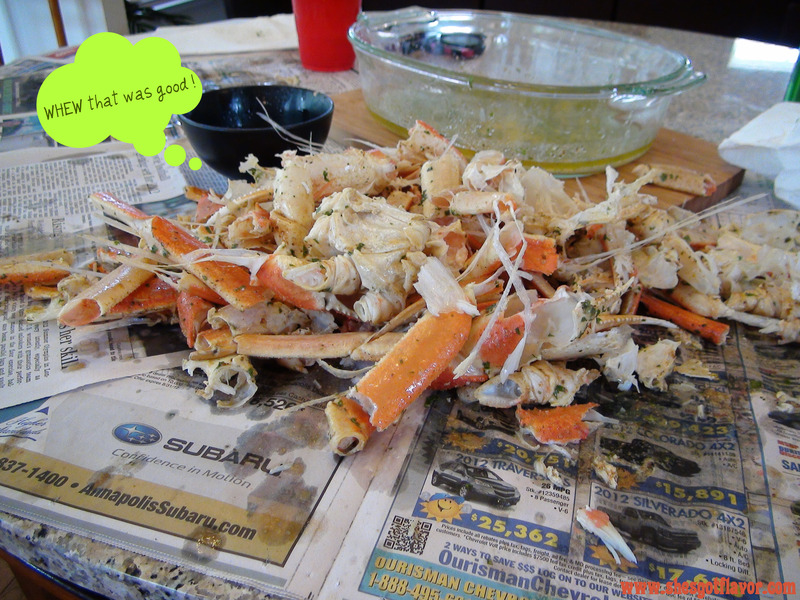 I made these crab legs last night and i must give it to you… they were amazing! Hands down the best flavored crab legs Ive ever had. I love the addtion of cilantro to the butter. At first i thought it would be over powering, but it wasnt. Ill never make crab legs any other way from here on out. Thank you for sharing your recipe! Wow! So good! First time making crab legs and my family loved them! Do you keep in mind when the bag phone was first introduced? Do you keep in mind when it evolved into a gadget that you could really consider with you? When this technology initial arrived out it price anyplace in between $200 to $400 bucks! These days, if you saw someone with this kind of technologies, you would think to yourself, “what it wrong with that individual”? The list of advancements in our daily lives from many years absent by goes on and on, and now we are about to enter into a new shift in technology with the latest advancement, the video clip telephone. Toll-totally free line or company line. Nothings worse than the exact same line your personal and business calls. You really feel very disorganized and unprofessional. In addition, the vast majority of individuals on your web site or advertising materials for your personal home or cellular telephone number to advertise. Established to think about a get virtual sms number method. GotVMail central ring and information entry function at house brokers are well-liked options. Proprietary systems are easy to outgrow: Adding much more telephone lines or extensions often demands expensive components modules. In some cases you need an completely new phone system. Not so with an IP PBX: a standard computer can effortlessly handle a large number of phone lines and extensions – just add more telephones to your community to expand! Also, if you do a little research/reading, you can set it up to exactly where every telephone jack in your home is wired for VOIP. It’s little much more than plugging the output of your VOIP modem into the wall jack you already have. Extremely little much more. I used Microsoft Office Live Little Business to build a Free web website, Free hosting, and a Totally free domain. I wish I could say there is a capture, but there truly isn’t. I guess the only caveat is you have to be a little computer savvy to build it utilizing Microsoft’s totally free online tools, but it’s truly just all ‘point and click on’ (I built my wife’s housecleaning web site, utilizing Office Live, in just under two hrs). They also give you tips on how to marketplace your internet website. So, go set up your totally free web website, and get your new internet deal with! Don’t forget to include your WWW deal with to your new Vistaprint business playing cards! With the digital calling playing cards buying and contacting is so simple.a couple of steps on a Pc and you are carried out. Talk for long.it doesn’t price the earth any longer. 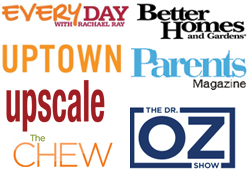 hOur company provides a wide variety of non prescription products. Look at our health contributing site in case you want to look better. Our company provides a wide variety of weight loss products. Take a look at our health contributing site in case you want to feel better. Our company offers a wide variety of non prescription drugs. Look at our health site in case you want to look better with a help health products. Our site offers a wide variety of non prescription drugs. Take a look at our health website in case you want to look better. Our company offers herb-based healthcare products. Look at our health contributing site in case you want to improve your health. Our company provides a wide variety of weight loss products. Take a look at our health contributing website in case you want to look healthier. Our company provides a wide variety of non prescription products. Visit our health website in case you want to strengthen your health with a help health products. Our company provides a wide variety of non prescription products. Look at our health website in case you want to look healthier with a help health products. Our company provides a wide variety of healthcare products. Visit our health contributing site in case you want to feel healthier. Our company offers a wide variety of non prescription drugs. Take a look at our health site in case you want to feel better with a help of general health products. Our site offers a wide variety of non prescription drugs. Visit our health website in case you want to look better with a help health products.